Walk Behind Floor Concrete Saw Cutting Machine is a type of machine for acute cutting of concrete. The machine is also known as flat or floor sawing. 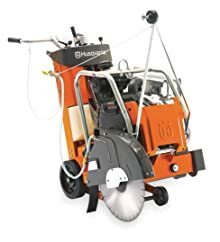 The machine is used in cutting horizontal flat concrete surfaces. The device features a blade. The blade is mounted on a walk behind machine that requires only one operator. 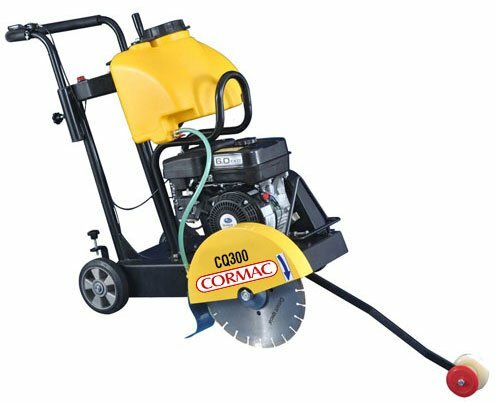 The operator is generally used to cut horizontal surfaces in asphalt or reinforced concrete slabs on grade. Besides, the machine is also used for cutting suspended slab openings in both indoor and outdoor. 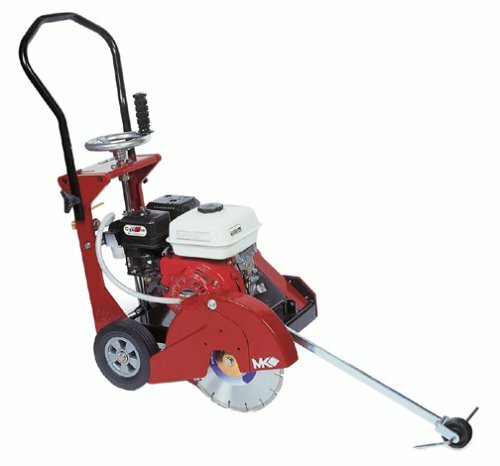 How to use Saw Road Floor Cutters? • Safety from Silica Dust: Silica is one of the basic elements requiring precaution is the generation of silica dust. Very fine dusts are generated when concrete is cut ic abrasive blade. These dusts invite danger as it is fine enough to be drawn deeply into the human lungs. If you inhale high quantity of fine silica dust, it may cause silicosis. Therefore the cutters will have to adopt precautionary measures from such elements. • Safety from Blade: Blade is the most important part of a concrete saw and equally dangerous. The most important part of the cutting process is the selection of right blade. These blades rotate with high speed during the entire procedure of cutting. The fast rotation leads to generation of enormous heat. Damaged blades may eject hot steel pieces that can cause injury to the operator. It is thus recommended that the blade is checked properly before strat of the operation. 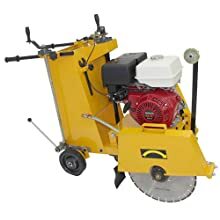 How to purchase Saw Road Cutters? • Diamond saw blades are usually for wet-cutting. If there is dearth in the quantity of water, the blade and steel core will be prone to break. • Whether faster speed or longer lifespan is needed – one of the most important decisions. 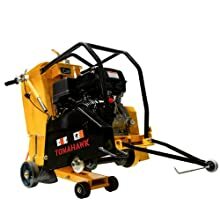 The product is engineered for parking lot re-pavement, slab sawing, structural foundation work, and runway or highway repair, the TFS18 from Tomahawk is the ideal concrete floor saw for the toughest job site applications. It is provided with an inbuilt 13 HP air cooled four strokes OHV HONDA GX390 that eludes optimal performance. Assembly of dual and accurate pointed power wheel makes controlled blade cutting plausibility. The work of convenient hand crank is utilized for raising and lowering cutting depth. The maximum cutting depth is précised at a depth of 5.5 inches. The introduction of special depth adjustment works to bring about smoother cutting experience. The product is liked for the eased compactness that goes before smooth shipping. This floor is ideal for cutting trenches to lay pipe, expansion joints in concrete floors and cutting channels for laying cable. It has a patented spring-assisted raise and lower system, low-vibration handlebar and excellent weight distribution and stability. The engine from Honda provides power for cuts up to 6 5/8 inches depth. The ingrained congregation of dual and accurate pointed power wheel makes controlled blade cutting plausibility. The work of convenient hand crank is utilized for raising and lowering cutting depth. The lightweight of the product has made it extremely portable and comfortable for transportation. The product has been built lightweight that helps in optimum portability. The product can be carried to any location with convenience. It is used in both dry and wet applications. The ingrained distribution system works to supply water to both sides of the blade. Cast aluminum hinged blade guard mounts on either side of saw and lets you cut within 1in. from curb or wall. The blade is available to make cut depth up to 14 inches. The product is equipped with spring-assisted raise and lower system, low-vibration handlebar and excellent weight distribution and stability. Adjustable depth control and both sides cutting capability are the other important features. The product is powered with 6.5 HP Honda GX200 engine. This concrete is crafted specifically for professionals and construction equipment rental. It utilizes an adjustable pointer wheel and specialized handle rotation. It can ensure straight cuts up to 4.3 in. deep, thereby making it a perfect choice for parking lot re-pavement, slab sawing, structural foundation work, runway repair, or highway patching applications. The product is liked for its user friendly attitude. The hinged, blade guard allows for fast, simple blade replacement for blade sizes up to 12 to 14 inches. The reinforced steel box frame design of the concrete saw adds crucial strength while decreases vibrations. It enhances saw performance, operator comfort, and saw life. The product is featured with a 6.5 HO engine that helps for faster start up and reliable running. The product has a variety in cut depth to 5 5/8 inches. The product allows the user to get a curb of 1 inch. The product is fairly light weight and seems easy to move around the jobsite rather than the other walk behind models. The integrated water system works in keeping blade wet on both sides and is featured with both left and right side cutting ability. It has both dry and wet applications. The manufacturer asks then user to hold patience as the products may take some time before being left to be used to. The product has been meticulously designed for strength, durability and performance. At the same time, supreme lightweight works in comfortable carrying of the device. Be the job is cutting concrete or asphalt, the reinforced steel box frame designs adjoins strength ardently necessary to reduce vibrations while sawing, crank for raising and/or lowering cutting depth. The hinged front is used to lift up blade guard and is designed to provide easy blade replacement. The ingrained congregation of dual and accurate pointed power wheel makes controlled blade cutting plausibility. The easy removable, rust less poly water tank provides for an optimum flow and volume of water to the blade. The indictment of the bribed compactness into the product has enhanced the comfort and made the job of shipping a eased one for the manufacturer. 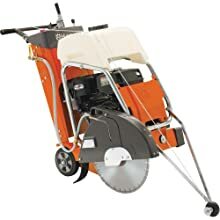 This floor saw is ideal for cutting trenches to lay pipe, expansion joints in concrete floors and cutting channels for laying cable. It has a patented spring-assisted raise and lowering system, low-vibration handlebar and excellent weight distribution and stability. The engine from Honda provides power for cuts up to 6 5/8 inches depth. The ingrained congregation of dual and accurate pointed power wheel makes controlled blade cutting plausibility. The work of convenient hand crank is utilized for raising and lowering cutting depth. The lightweight of the product has made it extremely portable and comfortable for transportation. 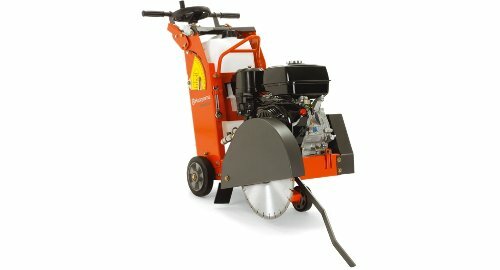 The concrete saw product is used to cut the concrete floors and asphalt. There are indications to open expansion joints in industrial floors. The chassis has robust structure that works in enhancing the life of the equipment and reducing the level of vibration. All these in genre are helpful in bringing comfort to the operator during the job, excelled with an excellent quality of cutting. The internal water tank helps in cooling the saw disc. The other accessories include two options of steering, variable speed control, cutting guide, adjustable handlebars and adjustment of the cutting depth. Due to the ingrained reinforced structure, the cutting depth goes up to 7 inches depth. The concrete saw product is an ideal push saw for contractors needing small saws. These small saws will be required for service and repair jobs such as sidewalks, streets and driveways. 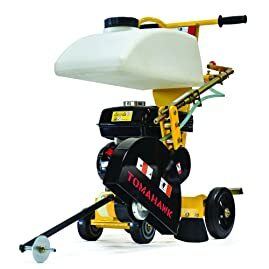 This product is also ideal for plumbers, Concrete contractors, electricians, and any other work where cutting of concrete or asphalt is necessary. These contractor-grade saw handles medium to small repair jobs in concrete and asphalt cuts openings for plumbing and electrical work and likewise. It is equipped with a Honda engine with RPM 6 5/8in. cutting depth with 18in. blade and the blade can be mounted on either side of saw when necessary. The effect of Road Sawing of flat and floor sawing is enormous as the methods serve a variety of purposes. As for general say, it is one of the most common and cost effective methods for cutting horizontally of the concrete and asphalt materials. 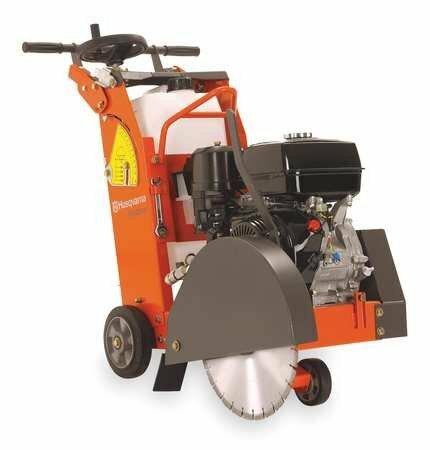 A road saw can have a single diamond blade attached for deep cutting to multiple blades attached for applications such as grooving into pavements. Blades are available in a variety of widths and cut to a depth of around 650mm. Big Cut Sawing has a range of machines suitable for driveways, car parks, roadways, runways, new and old concrete and asphalt.